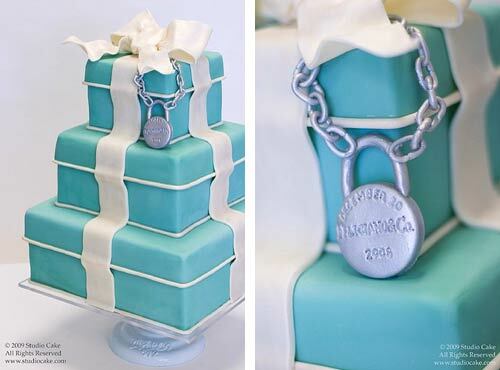 The Tiffany Wedding Cake is a loving homage to the famed jewellery store featured in the movie Breakfast at Tiffany's. 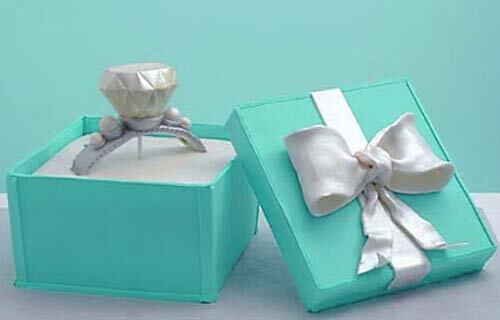 For over a century, the brand Tiffany & Co. has been synonymous with classic diamond jewellery of the finest quality. To paraphrase Holly Golightly in that wonderful film - nothing bad can ever happen there, so is it wrong for our hearts to have a little flutter at the thought of shopping there? Did you know that Tiffany's fine jewellery is worn by many red carpet celebrities? 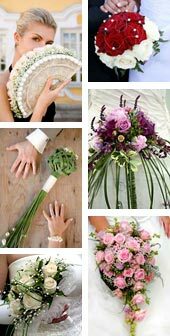 However, Tiffany jewels are not exclusive for the rich and famous. So what exactly makes a Tiffany cake? Could it be the perfectly smooth rolled fondant in Tiffany Blue (a registered trademark by the way). 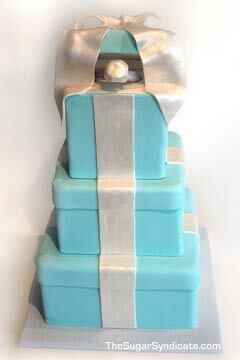 Could it be the cake tiers made in the shape of the priceless blue Tiffany box? Priceless because it has long been the company policy that no Tiffany box may ever leave the store without an item purchased from the store inside it. They are not for sale. 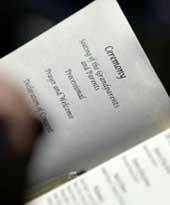 The Tiffany Blue wedding cake may also be adorned with strings of pearls or diamonds (hopefully bought from the hallowed store). 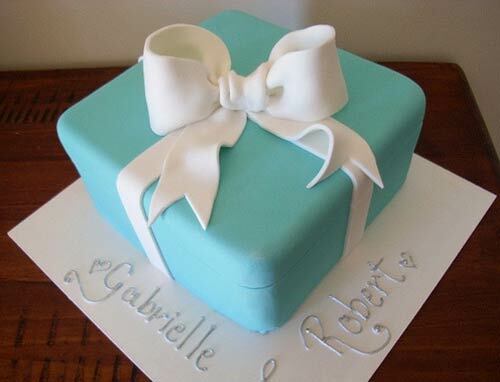 Thus, you could have your genuine blue Tiffany box and eat it's delicious blue form complete with white fondant ribbon icing. 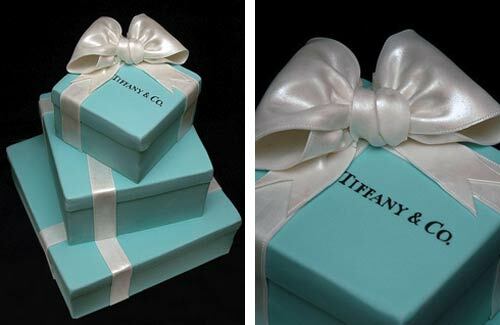 A blue Tiffany Box Cake is a lovely touch of whimsy, a courteous nod to the store, as well as a loving tribute to your fiancee, especially after taking you to Tiffany's. 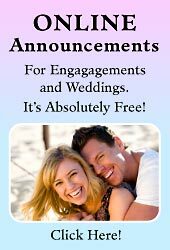 So before you make up your mind about your choice of wedding cake, snuggle up with your fiancee and maybe your cat and watch the movie - and remember - romance and diamonds are forever, especially when they come in a gorgeous Tiffany Blue box. 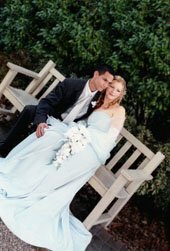 If you're interested in making your own Tiffany cake, you can get instructions on how to make your own Tiffany Blue gift box wedding cake here. 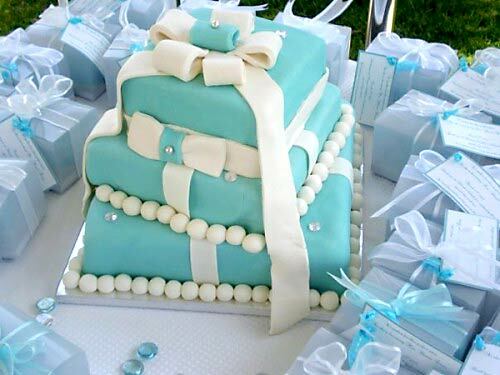 Getting a beautifully beribboned Tiffany Blue box is every girl's fantasy, so give guests a piece of the dream with a Blue Tiffany Box Cake (see recipe below), the ultimate in edible elegance. 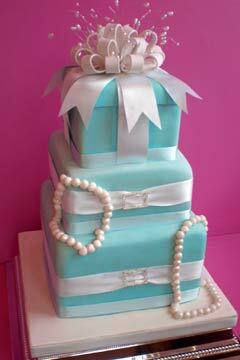 Click on the link to get instructions on how to make your own Tiffany Blue gift box wedding cake. 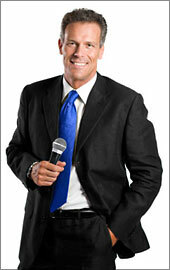 Remember to set the atmosphere, play Henry Mancini’s movie soundtrack on DVD and show the film in the background.